Have you been hearing about chakras or chakra awakening and then wondered what all the fuss was about? Do you have a healing problem that can’t seem to be made better or easier with modern medicine? Do you have sore spots along your spine that affect your posture, digestion, respiration, or that have possibly created some even worse health problems? If you answered “yes” to any of these questions, it’s time for you to learn more about chakras. Change faster than ever. Forever. Say good-bye to bad habits and say hello to new habits! 121 Habits of Successful People carefully shows a huge list of extraordinary habits that can change your life forever and turn you into the best version of yourself. If you are a looking to maximize your life, whether it be through your career, romances, finances, health, or any other area, addressing your chakras can be life changing, and Chakra Awakening: 21 Days of Highly Effective Guided Meditations to Awaken Your Chakras, 3rd Eye & Achieve Higher Consciousness - Increase Energy, Psychic Intuition, Balance Chakras & Heal Your Body is the perfect audiobook for you! This audiobook will provide information about how to open yourself to love, peace, kindness, and confidence while also providing meditative exercises that will help you release negative emotions such as jealousy, self-doubt, anger, hatred, and many others from your soul. As a result, you can move closer to becoming the very best version of yourself and function at your highest frequency in all situations. I love the sounds and the idea. Nice to mediate with, except that there is no transition between chakras. The change is very sudden and gives no chance to gently move onto the next energy center. 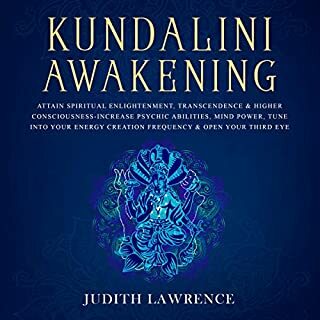 This book contains ALL the different aspects and techniques that circle around spiritual healing, including the awakening, opening, and activation of the Third Eye Chakra. There are some aspects of chakra that I didn't know about, my aunt is into chakra and meditation so it made me curious about it, I have started following some yoga poses like Yama, niama , Asana with my aunt. This is a perfect meditation guidebook for everyone. In here Highly Effective Methods to Heal Your Body, Awaken Your Third Eye details. I want to prefer that for all. This book comes out really interesting. I purchased it to study some details about chakra awakening and it gave me useful information. I also liked the illustrations with tree and chakra schemes. 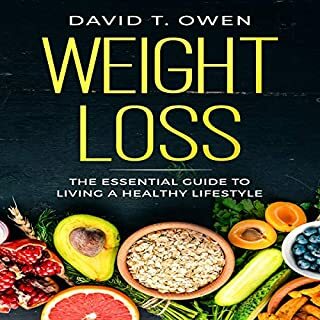 The author understands what he is listening about, so I recommend this book! I began finding out about them numerous years prior in secondary school. 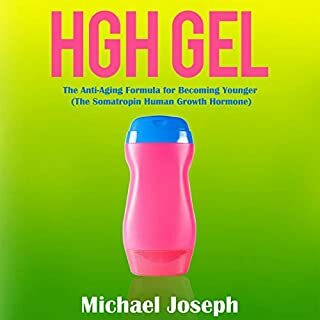 I observe this audio book to be an incredible guide for beginners keen on finding out about the subject, or even individuals such as myself who definitely know a lot, yet are keen on finding out about new and distinctive approaches to adjust, adjust, and purify them.I love this audio book. 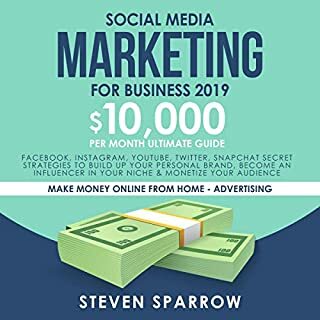 From Beginner to Advanced This book is for you! I have finished Chakra Awakening. I must say it is one of the BEST books I have read on the subject. I have several dozen books on Chakras and Crystals .. Yours has everything and the combinations of crystals as well as affirmations, not to mention deeper levels of healing crystals as we are all different in our..manifestations..is wonderful..I HIGHLY recommend this book to any one..whether new to the subject or Advanced on their Path!!!!! Chakras are wheel shaped, vortexes of energy located along the spinal cord, they start from the tail bone and end at the crown of the head. Chakras are the focal point of reception and transmission of energies. Depicted either like a wheel with spokes or a flower with petals, the bottom chakra starts with just four and the top chakra ends with one thousand petals. 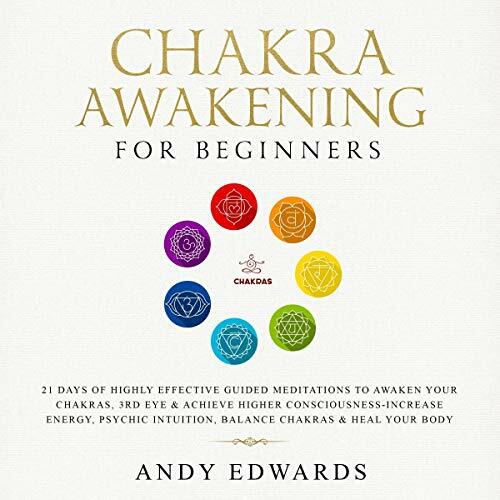 As you embark on your own chakra awakening, this guided meditations will become essential tools to your process. May they be useful and helpful, evoking lasting and meaningful awakening in your life. Good luck and enjoy! 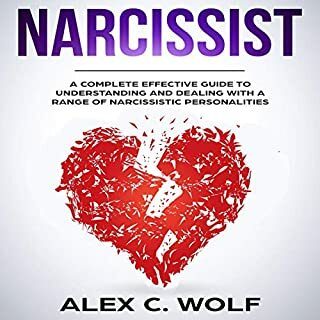 There's plenty of information in this book that will help you discover things about yourself that you might not have ever known. You will begin to see things differently, and you will be amazed at how your quality of life will grow. Awesome listen this book. This book is useful for anyone who tries to understand how chakras work. If you are beginner of chakra and want to know more of it,this is the audio book for you. I observed this audio book to be exceptionally helpful. Unquestionably prescribe! I also really like the section of the book that lists common complaints and the chakras that are usually blocked, while at the same time the author fully admits that not every issue is caused by a block . I appreciate that this book takes a pretty balanced look at what energy work can do and cannot do and doesn't treat it as some sort of cure-all. And in the meantime I'm having a good time experimenting with my own energy. As a beginner into metaphysical practices, Andy Edwards makes learning about the tools a lot easier because she writes in an easy style in which to understand its principles. The chapters are well organized and full of takeaways with practical exercises. I am so grateful for stumbling across this audio book! 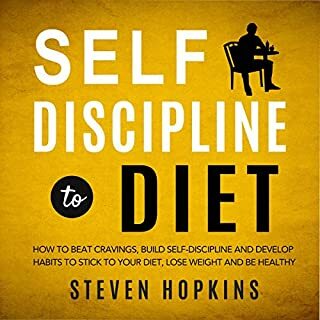 It is my go to audio book and love how easy it is to listen and reference!